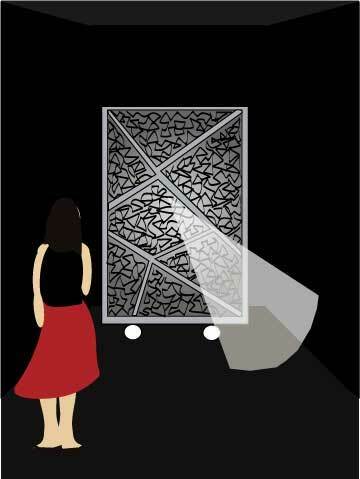 Shattered is an interactive installation where light is cast through a sculpture of shattered glass. 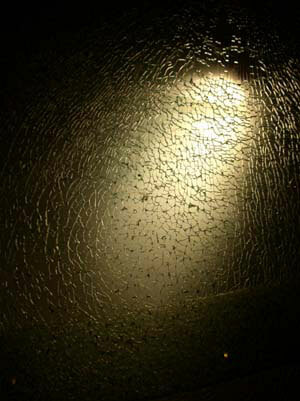 The diffused glow of the light illuminates the cracks and fissures. The goal of Shattered is to sculpt with light and give it presence in order to heighten our perception of light and space. 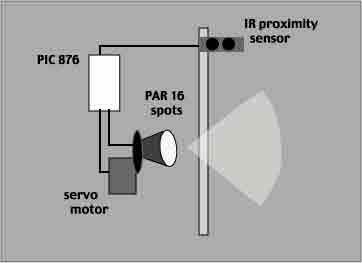 The participant is sensed by proximity sensors which then move small motors attached to small spotlights, creating light "dance" which delights and engages the participant and offers an intangible quality such as light the opportunity to be tangibly felt.